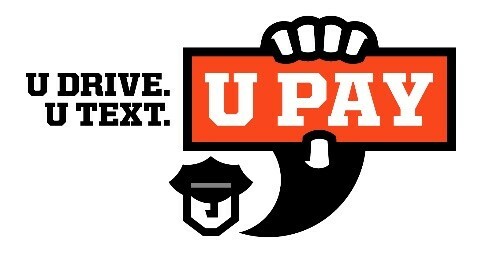 Home More News Auburn Hills Police Department is Urging Distracted Drivers to Remember: U Drive. U Text. U Pay. Auburn Hills Police Department is Urging Distracted Drivers to Remember: U Drive. U Text. U Pay. April is National Distracted Driving Awareness Month. The Auburn Hills Police Department will be joining law enforcement agencies across the country to intensify enforcement of state texting and distracted-driving laws to raise awareness about the dangers, and legal implications of distracted driving. This annual campaign is part of the U.S. Department of Transportation’s National Highway Traffic Safety Administration’s (NHTSA) national U Drive. U Text. U Pay. high-visibility enforcement effort that runs from April 8 to April 15, 2019. Nearly 20,000 people have died in crashes involving a distracted driver between the years 2012-2017 according to NHTSA. In fact, there were 3,166 people killed in motor vehicle crashes involving distracted drivers in 2017. This means that nearly one-tenth of all fatal crashes that year were reported as distraction-affected. Over the years, millennials have become some of the biggest texting-while-driving offenders, also using their cell phones to talk and to scroll through social media while behind the wheel. According to NHTSA, young drivers 16 to 24-years-old have been observed using handheld electronic devices at higher rates than older drivers since 2007. In fact, in 2017, 8 percent of people killed in teen (15-19) driving crashes died when teen drivers were distracted at the times of the crashes. Female drivers are most at risk of being involved in a fatal crash involving a distracted driver. Violating Michigan’s distracted-driving laws can be costly; a first offense citation is $100, while a second or subsequent offenses are $200. An analysis by the American Automobile Association of 2009-2012 data found that while more than 80 percent of drivers believed it was completely unacceptable for a motorist to text behind the wheel, more than a third of those same drivers admitted to reading text messages while operating a motor vehicle themselves. Texting while driving is dangerous and illegal. Break the cycle. Remember: U Drive. U Text. U Pay.